You all know that Earth Day is near and dear to my heart, and I always enjoy the festival that Grandin Village has each year. 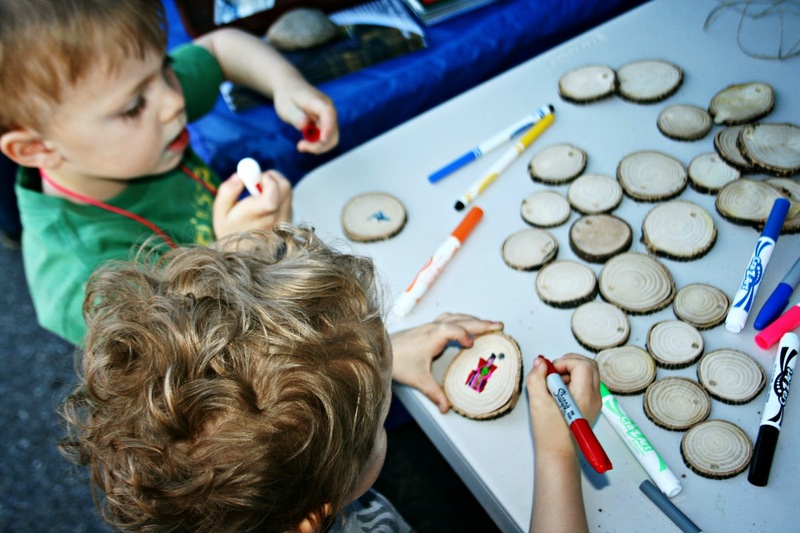 The boys get to plant flowers and do crafts. 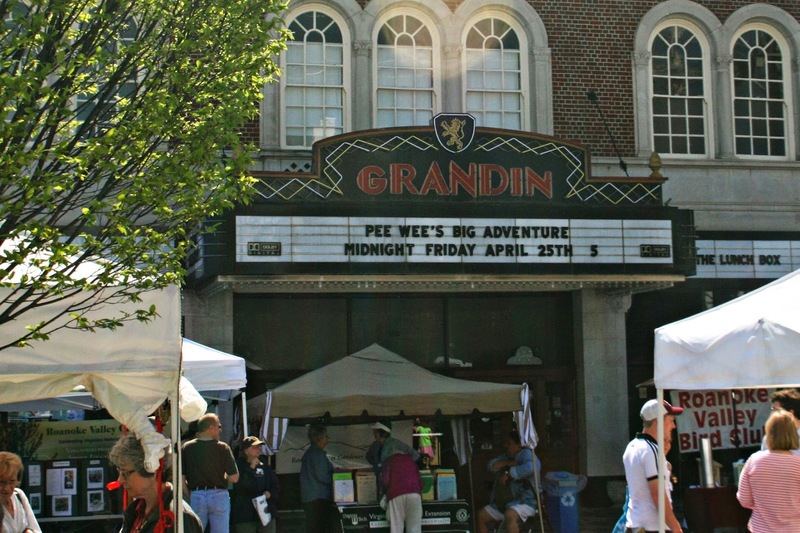 The Grandin Theater was having a midnight showing of Pee Wee's Big Adventure. I can't imagine a universe in which I could make it to a midnight showing right now, but I do remember going to see Big Top Pee Wee at the Grandin in the 80s when it was a dollar theatre. There was a bouncy house for jumping, and a few snakes for petting. My boys always seem to enjoy petting snakes. There were plenty of places to create some unique street art. There were free seeds and free samples (a favorite was the organic dark chocolate). The highlight of the day? Learning how to scoop and poop. 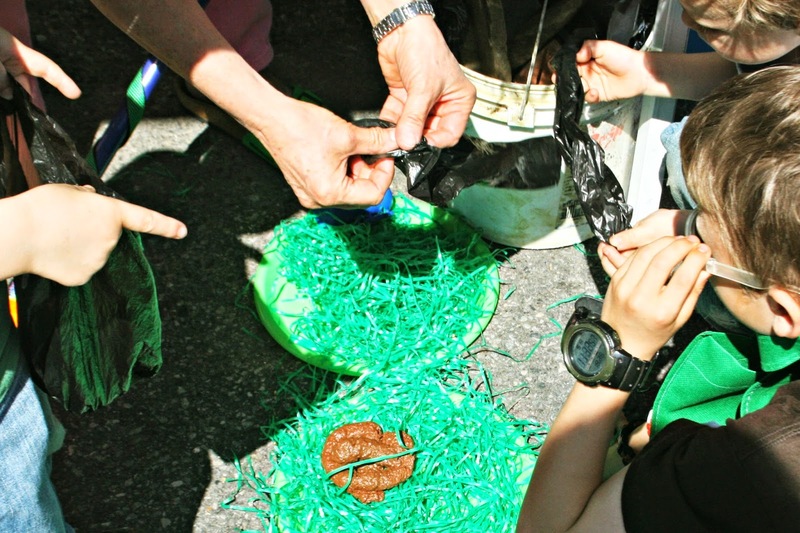 The dog poop you see was fake. The boys had a blast putting it in baggies to dispose of it properly. Thankfully, no fake dog poop make it home. This time. I wonder if there is a bid demand for making fake poop? Could be a good business to get into but then there are all the people who demand the real stuff, "Organic". 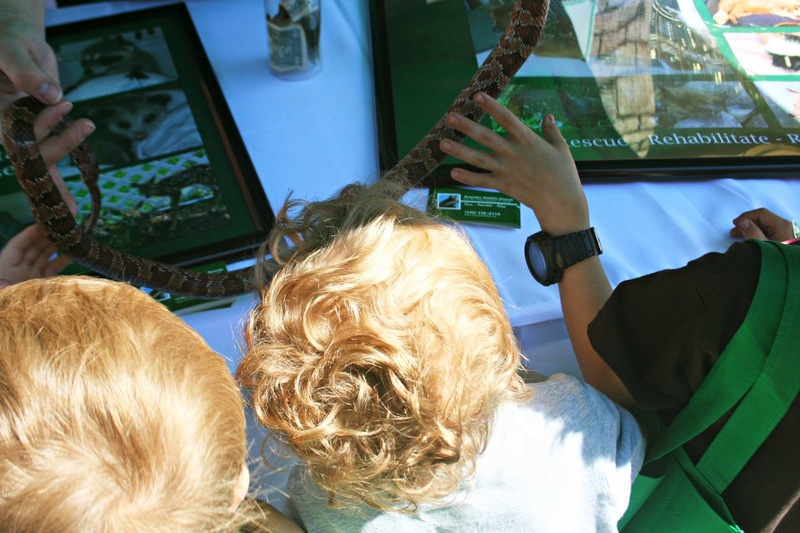 What a fun way to learn about helping the earth; especially when petting snakes (I'd have been right in there with the boys!) and scoopin' da poop. too funny on the poo! Looks like a great time! Roanoke has so many great things going on. I'm glad your boys are OK with snakes. I hate being so petrified of them. That chalk covered sidewalk is full of great art, isn't it? :) Happy Wednesday to you. LOL that fake dog poop sure does look real. 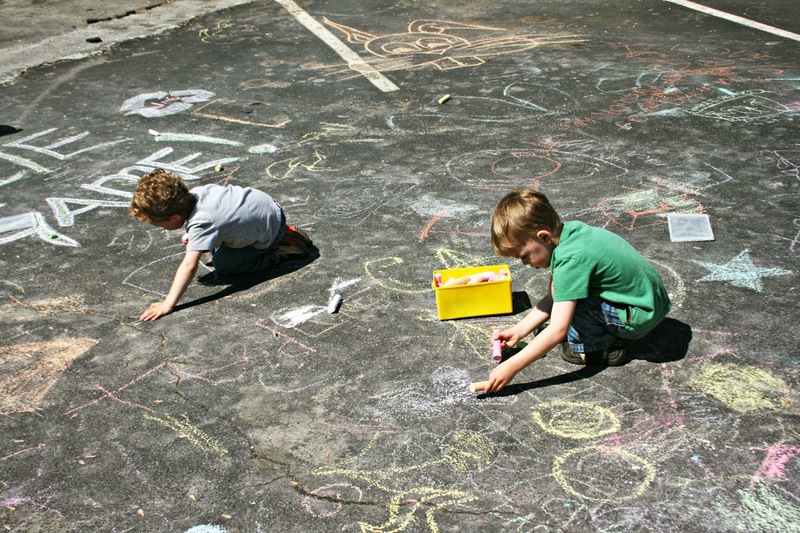 How fun for the boys to do the street art. Fake dog poop? Oh, God! I've lived too long. Oh, those beautiful blonde curls!! I didn't know you could color on onion slices! Will they still smell? Looks like lots of fun, even for adults! The poop and scoop class sounds like a great idea. It's a big issue where I live. In addition to school, your boys have so many educational moments provided by you and your city. That is so wonderful. What a good mom you are! Seems to be a wonderful day. Art of your kids are good. am afraid of snakes but your boys are so brave to play with them! Send them up here to clean up after my dogs! LOL. Sounds like a fun time. (Pee Wee's Big Adventure--that sure brought back lots of memories from the 80's. I was petrified of Large Marge.) Everyday should be Earth Day in my book! This looks like a great event! I don't think I could stay awake that late either. Now my grand boys- they would have LOVED the fake poop!! LOL I can just see my little Liam sticking it in his pocket to bring home. Very smart to get the kids involved. Glad you all had fun with that event. I think I saw Big Top Peewee at a dollar movie back in the day as well. And, I am all for replicating the dog poop scoop training. There are plenty around here who would benefit from that experience. Earth day is special to me too. I wish it was everyday for all those unlike us to be reminded of. That looks like such a great event! By the time I got to the last line I couldn't help but laugh. Life with boys will do that to you. That looks like so much fun! I love how much you do with your sweet boys!